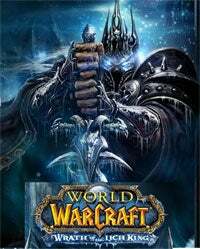 How can a European guild have possibly defeated all three of Wrath of the Lich King's major PVE raids in the span of three days? It's simple - dedication. The kind of dedication that leads a 15-year-old Swedish boy to play the game until he goes into convulsions and passes out. That's exactly what a teen in Laholm, Sweden did this past weekend, after getting together with six friends for a marathon gaming session. The boy is expected to make a full recovery but his father said he plans on limiting the amount of time his son is allowed to play computer games. His father also warned other patents about the dangers of their sons’ extended game playing. “They also think the boys need to reduce the amount of time they play and will themselves be more vigilant,” he said.